3 1/2″ Rear Center drain. 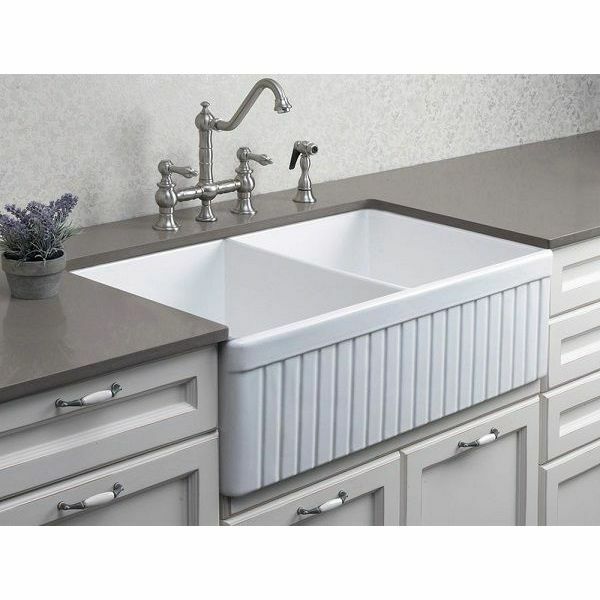 The ALFI White 32-Inch Fluted Double Bowl Fireclay Farmhouse Kitchen Sink is an elegant apron sink that will enhance the visual appeal of any kitchen. 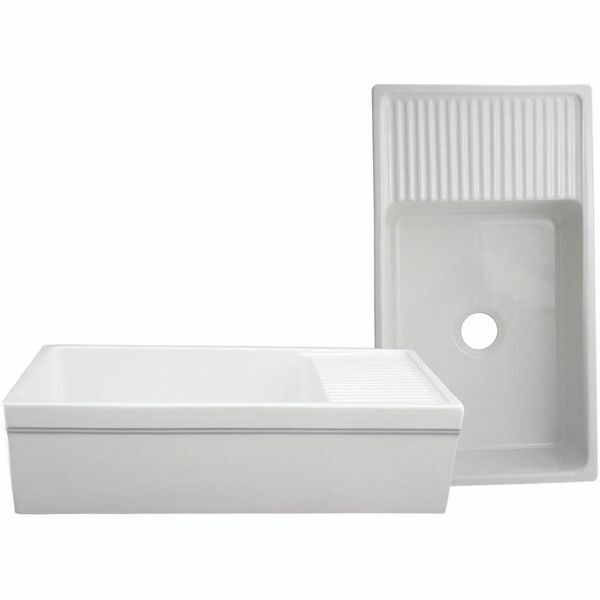 A fluted front and a rolled edge give the simple white design a classy look, and there are two basins for easy washing and rinsing. Get the elegance that comes with fireclay without all of the worries about damage with the Rohl Single Bowl Allia Undermount Fireclay Sink. 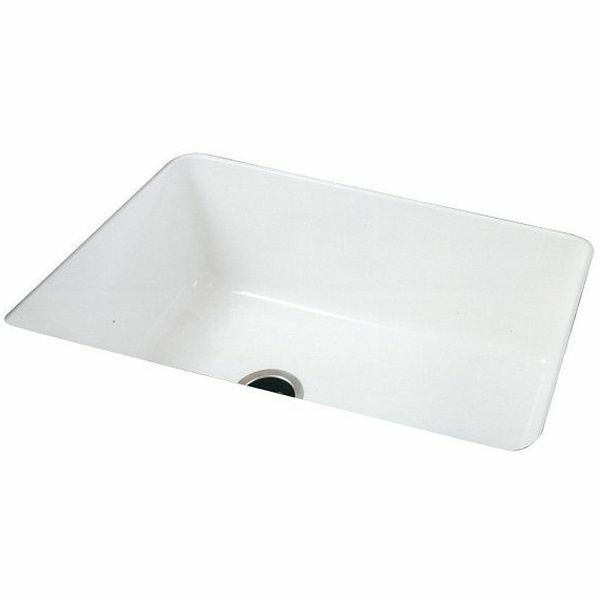 This fireclay sink has been treated to make it acid and alkali resistant, allowing you to use traditional cleaning products to maintain it. The sink is also scratch resistant to ensure lasting beauty. Complete the kitchen with the simple beauty of the Belle Foret Apron Front Kitchen Sink. 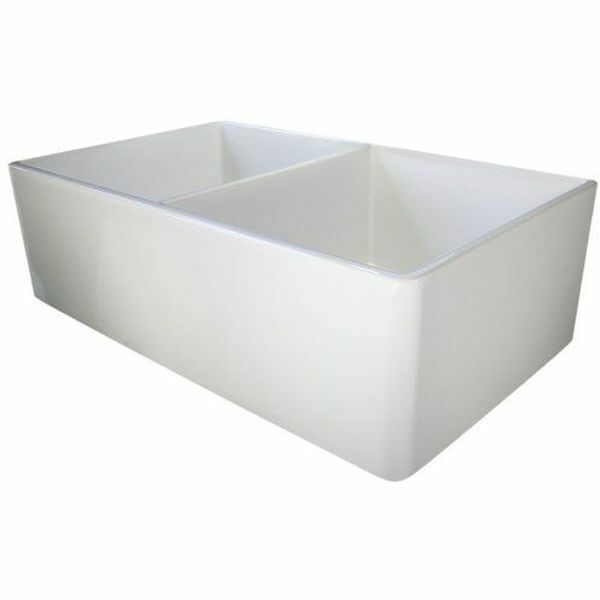 This large single bowl sink has a smooth, white apron front and is designed for easy under counter top mounting. The sink is durably crafted, making it ideal for daily use in busy home kitchens. 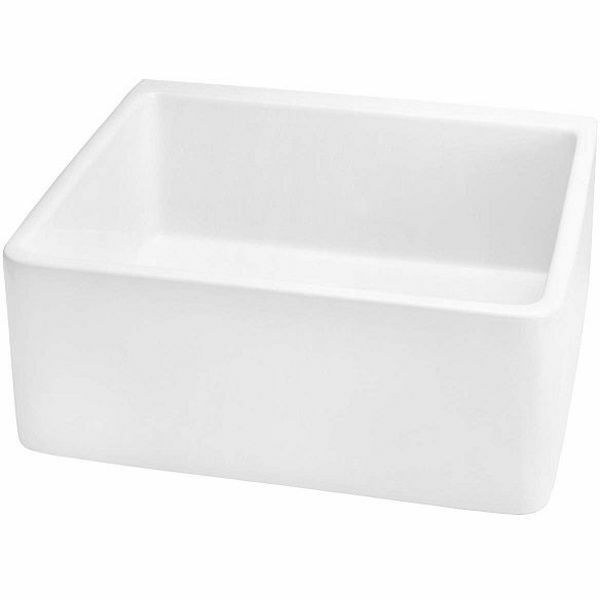 The ALFI 32-Inch Smooth Double Bowl Fireclay Farmhouse Kitchen Sink has the simple charm of a classic farmhouse sink with its clean lines and lovely white color. The sink has a dual bowl design that is very convenient for dishwashing and cooking, and it is slightly tapered to give it an attractive silhouette. 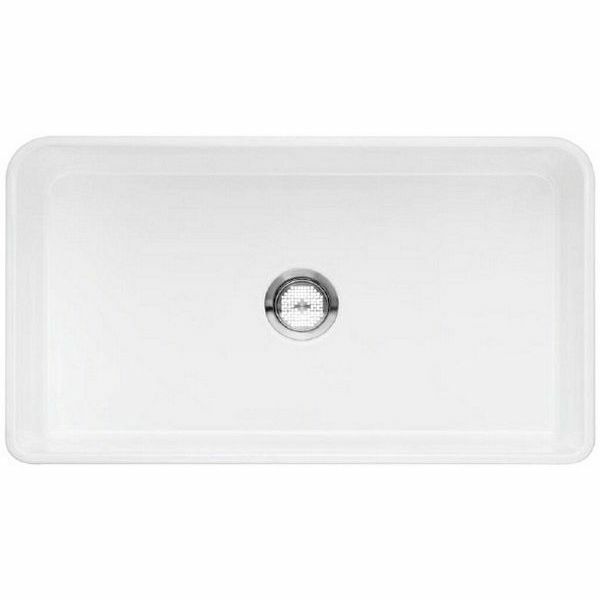 With the Blanco 30-Inch Cerana Apron Front Sink, you get all of the visual appeal and easy cleaning benefits of fireclay with a more durable surface than what you’d commonly expect from sinks fashioned out of the material. That’s because this single basin sink is fired at incredibly high temperatures to harden it. The sinks glaze is practically impervious to threatening bacteria from food preparation. With the Whitehaus Quatro Alcove 36-Inch Reversible Fireclay Sink with Apron, you get the elegant texture of fireclay but in a deep midnight black color that will stand out in the kitchen. Finished on all sides, the sink has a side ledge that is perfect for drip drying and draining.